Who is the best option to replace Zlatan? 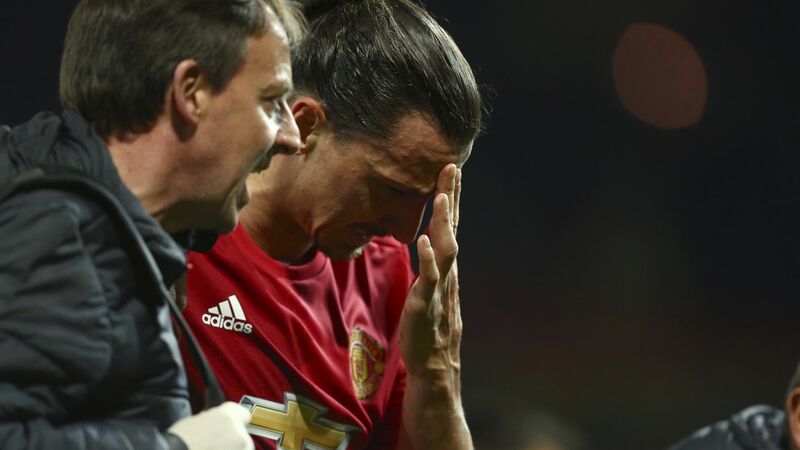 After his season-ending knee injury a few weeks ago, reports have emerged that Man United’s mercurial frontman Zlatan Ibrahivomic has moved his family out of their Cheshire home in preparation for his departure from the club this summer. Although this may come as a surprise to some of the Old Trafford faithful, it could be argued Jose Mourinho had been planning for life without his talismanic top-scorer for quite some time. Marcus Rashford has stepped out of the Swede’s shadow and lead the line admirably for United in recent weeks, scoring pivotal goals against the likes of Chelsea and Celta Vigo to keep United’s stuttering season alive, and it is very much anticipated that Rashford will gain even more minutes in the first team next season. Belotti has been the breakout star in Italy’s Serie A this season. The 23 year old Italian has emerged from a couple of educating years in the top flight to this season show signs he is ready to match his massive potential. The Italian has plundered 27 goals in all competitions in a mediocre campaign for Torino, to catch the eyes of Europe’s biggest clubs, including United. Belotti possesses a powerful body for his 5 foot 11 frame, and an energy few forwards can match. “There are few like him, he does double duty. He is our first defender” raved Belotti’s Italy u20 coach Alberigo Evani, and this unrelenting effort to press teams would be a key trait that Mourinho would favour. Not only would Belotti’s physical style suit Mourinho and English football, his goals would be exactly what United require. A season as prolific as Belotti’s in such a poor team make Il Gallo (“The Rooster”) stand out to other targets for United; one could only imagine how many he would score in a team as creative as United’s. Belotti is a good header and powerful striker of the ball, whilst also showing incisive movement in behind to find space for chances, and at 23, the Italian will only get better with age and maturity. As expected though, Belotti will not come cheap but, importantly will be available this summer, albeit for his £84 million release clause. For such an enormous fee, United however could sign a striker with slightly more consistency and experience of the bigger stage; Belotti is yet to play in the Champion’s League and has only been capped for his country 7 times. For these reasons, Il Gallo may just be pushed towards the back of the queue. Much talked about, much praised, much “mentioned”, the Premier League knows all about the talent of the brilliant Belgian, Romelu Lukaku. Arriving in England almost 6 years ago, English football fans have watched Lukaku grow from a raw teenager to the Premier League’s deadliest finisher. 24 this season has seen Lukaku leapfrog the likes of Sergio Aguero, Harry Kane and the aforementioned Zlatan, and improve his game hugely across the campaign. One of just 5 players to score 50 premier league goals before the age of 23, Lukaku is already a consistent goal-getter in Europe’s toughest league. Mentally strong, we have seen Lukaku fail to make an impact initially with Chelsea in 2011, before having the guts to leave for West Bromwich and then Everton to prove himself. As physically strong as mental, Lukaku is blessed with an astonishing core strength, often muscling defenders out of his path, and then showing his lightning pace, often underrated, before slotting the ball in the back of the net. Despite boasting such a beastly build, Lukaku’s ability is clearly presented mostly in his excellent left foot; the origin of most of his goals. Lukaku is as clinical as any on his left, but more than capable on his right too, showing on many occasions this season he is more than one dimensional. Lukaku is also rumoured to be unhappy at Everton, showing ambitions to win trophies and play in the Champion’s League, meaning Everton would probably be inclined to sell their star striker. But Lukaku is not perfect. The Belgian often looks disinterested when his team is struggling rather than stepping up to influence the game. He also struggles to perform in the biggest of games, notably missing a penalty in the FA Cup semi-final against none other than United last season, and has also not scored against Liverpool for the Toffees since 2013. Lukaku may fit United in many ways, but technically the 24 year-old needs to improve his play when bringing his teammates into the game, as well as showing sharper feet in and around the box where he can often be clumsy. In a team full of intricate players such as Mkhitaryan and Mata, the ball must stick to the number 9, or their movements and incisiveness around him will be wasted. There is also the small matter of a return to Chelsea rumoured to be on the cards too, as Antonio Conte will be looking to replace Diego Costa who is more than expected to depart Stamford Bridge in the summer. Easily the most underused striker in European football, Morata has spent the majority of the season in the shadow of Karim Benzema and Cristiano Ronaldo at La Liga’s title chasers, Real Madrid. Despite this, Morata has still managed 18 goals in just 24 games in his second stint in Spain’s capital; an impressive stat for a plan B striker. Morata has shown on plenty of occasions, his astonishing ability is criminally wasted at the Bernabeu. After a highly successful stint in Turin at Juventus, Morata returned to Madrid in the summer hoping to play a key role in Zinedine Zidane’s title charge, however the Spanish international hasn’t quite managed to win over the new boss. Through no fault of his own however; Morata has performed when given the chance, it is just such is the strength of Madrid’s squad, highlight United target James Rodriguez as a further example. But the fact is, Morata is good. Really, really good. Morata is energetic and hard-working at the front and technically superb, coupled with an expert eye for goal. The spaniard is vastly experienced for just 24 years of age and has proven already to be a big-game player, scoring goals in the Coppa Italia final, the Champion’s League and European Championships for Spain already for example. Morata is tall and good in the air, proving his ability as a hold-up number 9, as well as being pacey and versatile, playing at times from the wing too. Morata at 24, has learnt tactically and has the winning mentality required for a top player and is now at the age where he needs games to fully achieve his undoubted potential. Morata, similar to the other 2 strikers previously mentioned, could be available for a fee of over £60 million. There is also the matter of Chelsea again, who should they fail to sign Lukaku, will most certainly turn to Morata. And there is also the case that Morata may want to stay and prove himself at Madrid; The spanish international is Los Blancos through and through, and has pushed Benzema all the way this season, next year may finally be his time. Quoted this week as saying “I want to play for Real Madrid, more than the next player”, perhaps indicating his hunger to prove himself. However should United fail to sign target number 1, Morata ticks almost all the boxes Mourinho and Man United requires. No player has been more consistently linked with Man United in recent months than Atletico sensation, Antoine Griezmann. The best player at Euro 2016, the best player in the other half of Madrid, Griezmann is an absolute superstar. The 26 year old has maintained one of the highest levels of performance in European football for the last 18 months, it is no surprise a world-record fee is being touted for Griezmann. A charismatic charm matched with tremendous talent, Griezmann is not only the player to replace Zlatan, he is the personality. Griezmann has developed from a flying winger to a natural and clinical finisher under the guidance of Diego Simeone at Atletico Madrid, his development culminating in a 3rd place finish in the 2016 Ballon D’or behind Lionel Messi and Cristiano Ronaldo. Griezmann has smashed 82 goals in 156 games for Atleti, 25 this season to continue to prove how lethal the diminutive Frenchman really is. Not only is he prolific, he is prolific when it really counts. The striker was the top scorer with 6 goals in the Euros as well as scoring against Real Madrid, Barcelona and Bayern Munich last season. Incredibly quick, deceptively strong in the air, and beautifully balanced, Griezmann can not only play as a lone striker, he can also support from the second striker position, or even out wide such is his versatility and technical ability. Griezmann has learnt tactically and defensively from Simeone, presenting Mourinho’s demands of hard work as merely second nature to Griezmann, whilst fitting perfectly into the United mould of pace, directness and clinical finishing. The other highlighted strikers are still arguably yet to fully develop as players, whereas Griezmann is more or less the finished article, ready and waiting to light up English football. Partner Griezmann’s great friendship with United midfield maestro Paul Pogba with the rumours of Diego Simeone being tempted by further opportunities away from the Vicente Calderon, and the odds of United being able to tempt the striker are fairly strong, however it all depends on qualification for Europe’s primary competition. United must ultimately be able to offer one of the world’s best players the best they possibly can; the Champion’s League and a Premier League title charge must be certainties. No other player available to United posts the same qualities on and off the field as the French international, whose marketability must surely tempt the brass of United to spend huge money on a transfer fee. Ibrahivomic has been such a huge hit at 36 years of age many United fans have been wishing they could have been blessed with the maverick Swede 10 years earlier, and in little hotline Griez, they may have a second opportunity at a superstar coming into his prime instead of leaving it.